The cinematic journey back in time is nearly over. 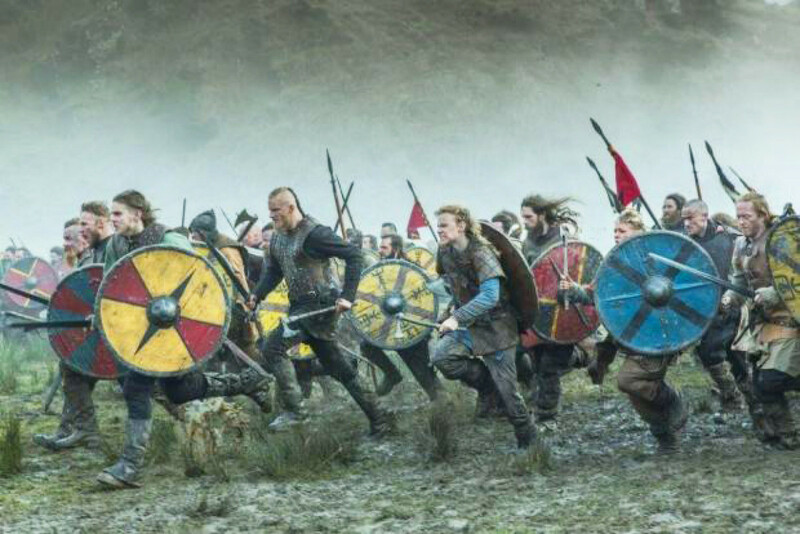 The History channel’s blockbuster hit, “Vikings” is scheduled to conclude its sixth – and final season in 2020. But in Ireland the Vikings and their lasting influence still remain. An award-winning tour operator, Vagabond Small Group Tours of Ireland, recreates for visitors Ireland’s own Viking history in some of the places where the Vikings pillaged and plundered in their quest for precious baubles and arable lands. Guests may envision Vikings landing longboats off the Irish Sea and the flags of Norman invaders from England who, with help, eventually did them in. The artifacts they’ve left behind signal bloodshed one moment and repentance the next. More than any other region of Ireland, this coastline separated by mountains from inland valleys defines how the Irish came to be in the 5000 years since Stone Age settlements. Watch history come to life at the 3D King of the Vikings virtual reality experience. Behold the elegance of 18th century Georgian Waterford at the Bishop’s Palace Museum. In Kilkenny, the stronghold of a Norse clan since the 6th century, artifacts are buried deep. But in the 1990s a tour guide discovered silver and bronze treasures including buttons from a Viking coat. Kiss the Blarney Stone and explore Blarney Castle and Gardens. Departures (14 total in 2019) from Dublin are from mid-April through mid-October. The per person double rate is €1,819 (€315 single supplement). On all of its tours, Vagabond staff curate locally owned accommodations, pubs and restaurants that help serve their goal of authenticity. In the end the mission is to have guests “love Ireland as much as we do.” Transport is in a custom 4x4 Mercedes 'Vagatron' that allows access beyond where regular tour buses go. For details on the Vikings-themed trip see https://vagabondtoursofireland.com/tour/6-day-eastern-ireland-tour/. For details on all of Vagabond Small Group Tours of Ireland itineraries, availability and for 2019-2020 reservations, please visit https://vagabondtoursofireland.com/. Call toll free (from the US) 1.833-230-0288; in Ireland 00353 (0) 1 5634358; or email: [email protected]. Vagabond Small Group Tours of Ireland offers two styles of culturally immersive travel. Since 2002 Vagabond Adventure Tours are for active travelers who want to mix up hiking and biking and other outdoor adventures with history, culture, dining and shopping. Driftwood Journeys of Discovery follow similar itineraries but at an intimate and in-depth looking and lingering pace, sans the physical exertion. In 2013 the company was honored by National Geographic Traveler with a Top 50 Tour of a Lifetime distinction. In 2015 and 2017 the company was named the “Best Adventure Experience” at the Irish Tourism Awards. In 2017, Vagabond became Ireland’s first tour operator to achieve Ecotourism Gold Level Certification and in 2018, Vagabond Tours won The Green Tourism & Entertainment category in Ireland’s most prestigious Green (business) Awards. In February 2019, the company won two top Irish Tourism Industry Awards for the Best Ireland Ancient East Tourism Experience and Best Environmental Tourism Innovation.